The Nestle Beverage Bar is a convenient, tidy, economical and hygienic solution for the office kitchen. 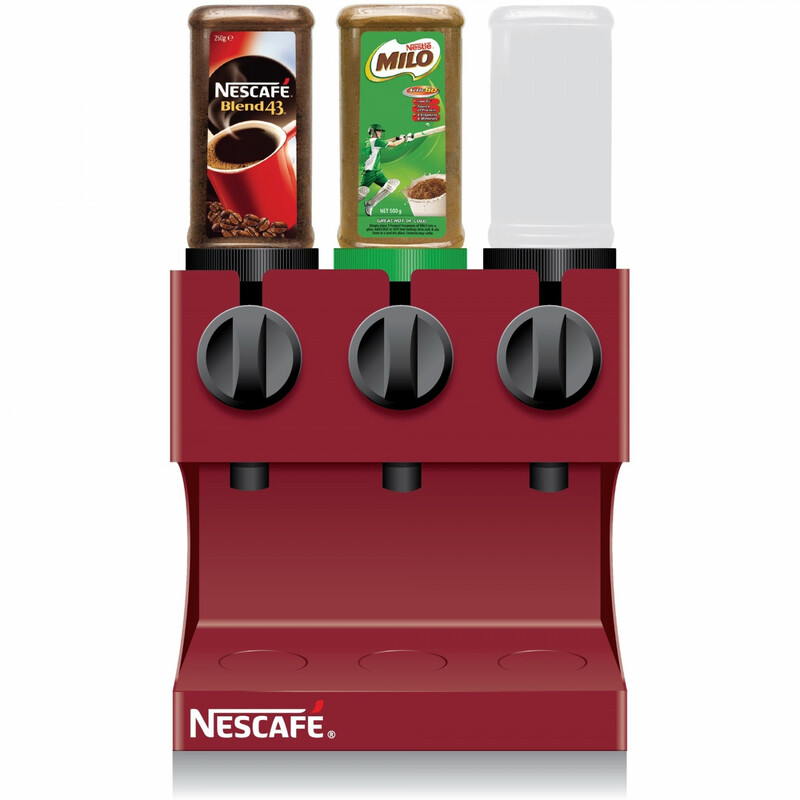 Along with the dispenser, the starter pack includes a jar of Nescafe Blend 43, a jar of Milo and an empty jar for soup or sugar. It is designed for rapid and easy preparation and the side tube allows for dispensing of cups and stirrers.